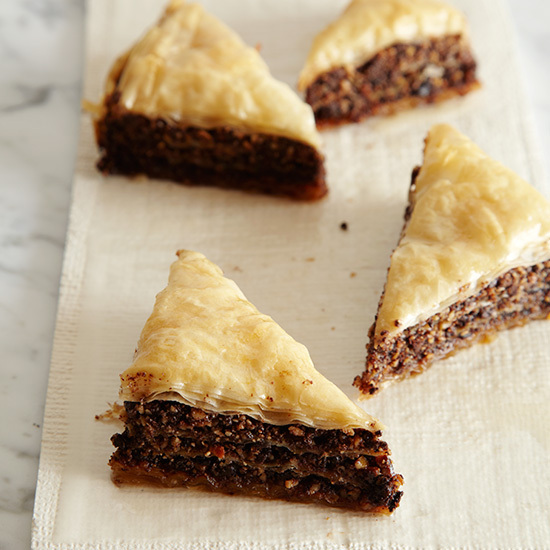 Making this delicious chocolate-hazelnut baklava is incredibly easy thanks to our step-by-step guide. 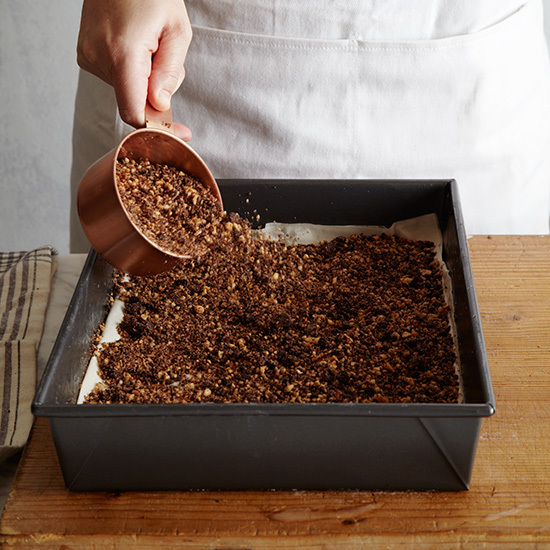 Spread the nuts on a baking sheet and bake until the skins are blistered; let cool. 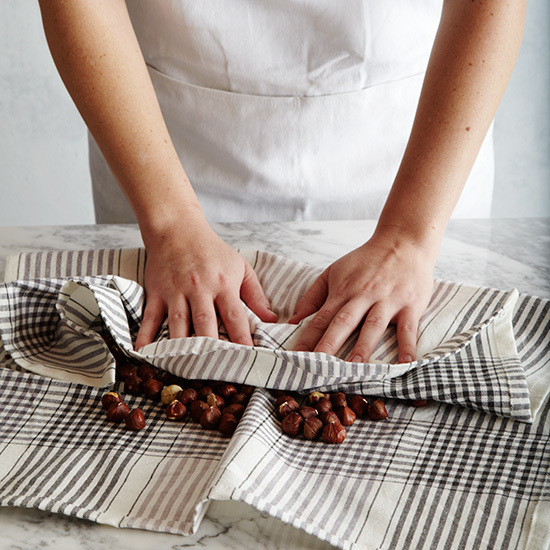 Transfer the nuts to a kitchen towel and rub off the skins. 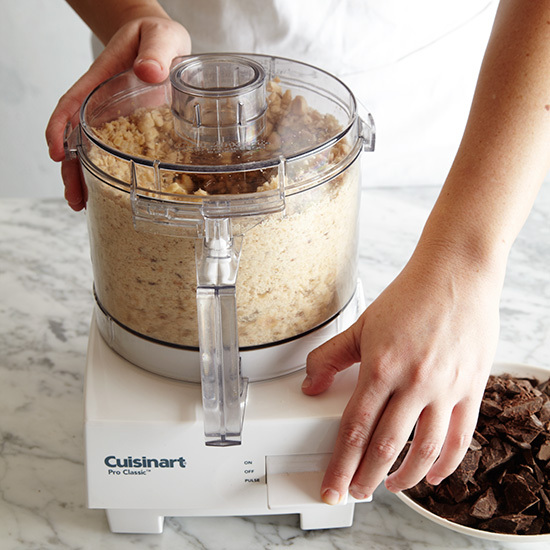 Transfer the nuts to a food processor and pulse until coarsely chopped. Add the chocolate, sugar and cinnamon. 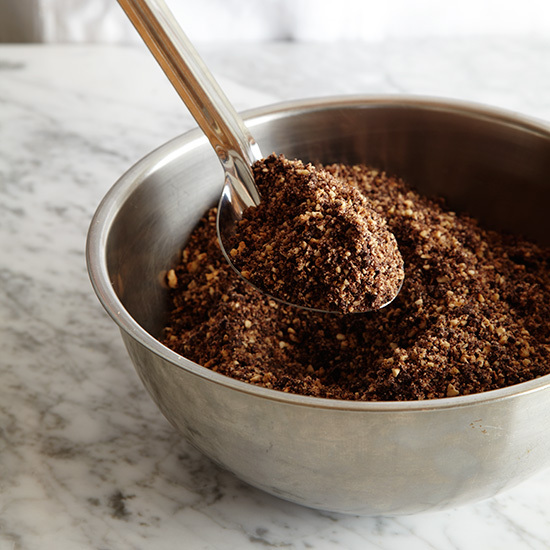 Pulse until the chocolate and nuts are finely chopped into the same size pieces; transfer to a bowl. Butter and stack 8 sheets of phyllo. Trim the edges. 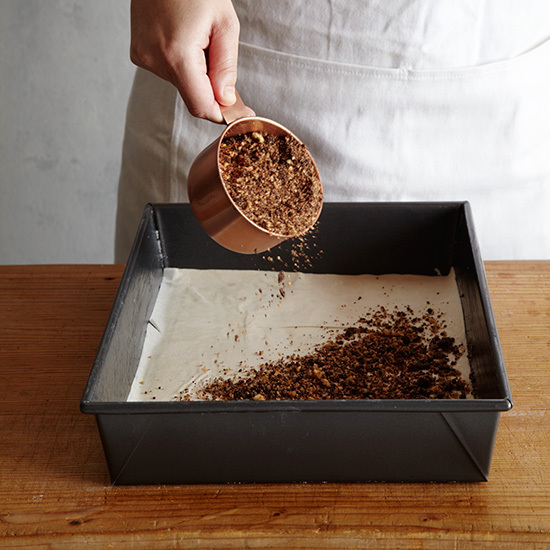 Ease the stack into the pan. Sprinkle about 2 cups of the filling over the phyllo. 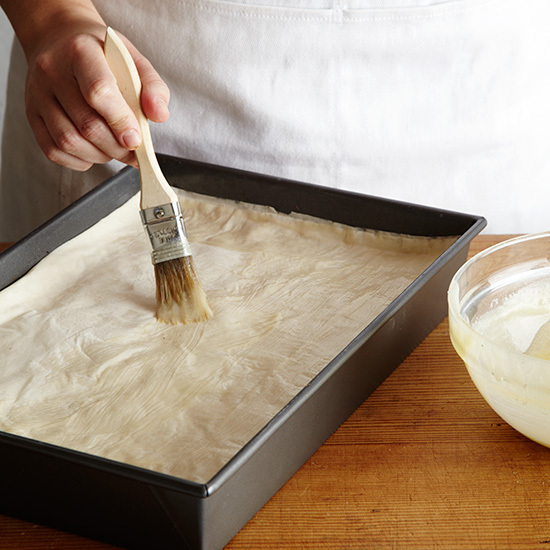 Butter and stack 2 more phyllo sheets; fold them in half crosswise and place over the filling. Sprinkle on another 2 cups of the filling. 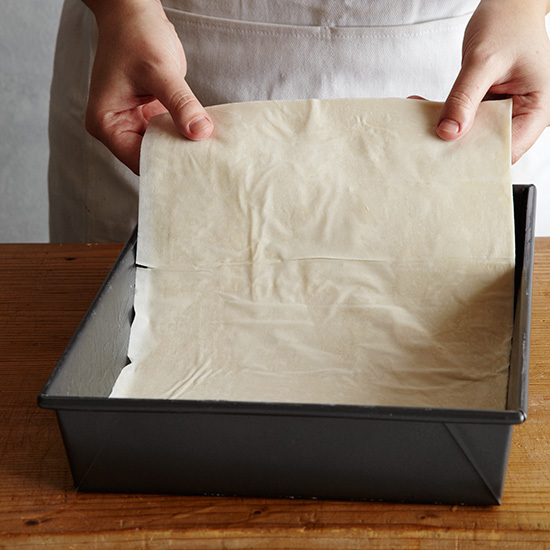 Top with 2 more buttered, folded sheets and 2 cups of filling. Butter and stack 3 more phyllo sheets, fold them in half and place over the filling. 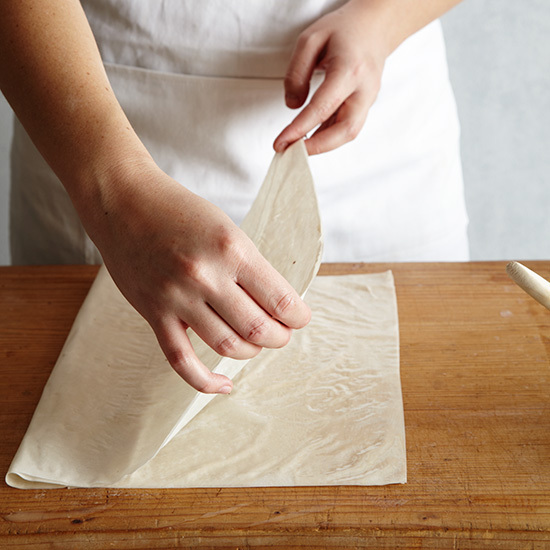 Fold in the overhanging phyllo on top and brush generously with butter. 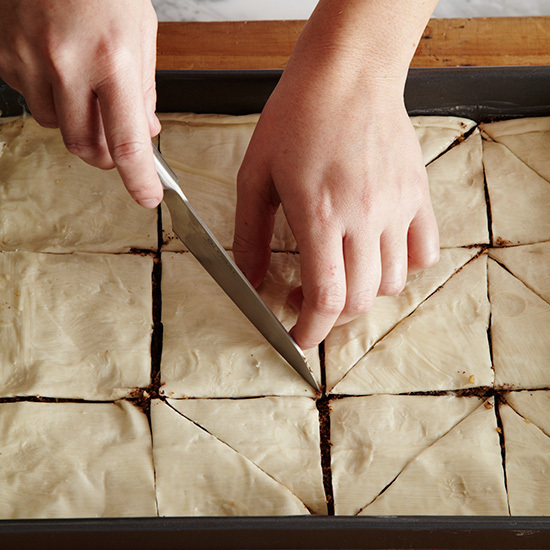 Using a ruler and a sharp knife, cut the baklava (through the top and bottom) into 3-inch squares (there will be a bit left on one long side). Cut each square in half to make triangles. 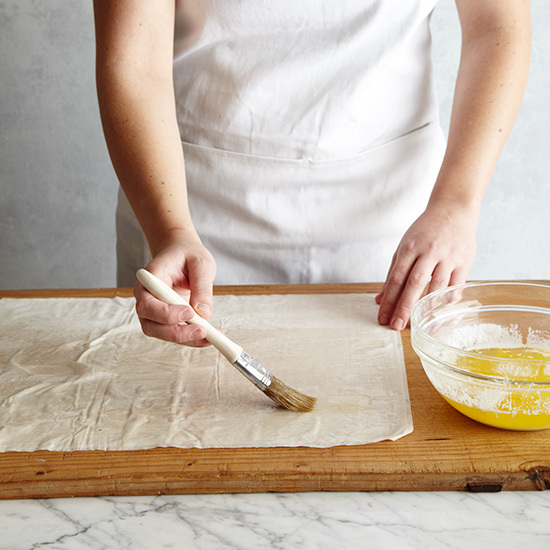 Bake the baklava until golden. In a saucepan, bring the water, honey and sugar to a boil. Simmer over moderate heat for 10 minutes. 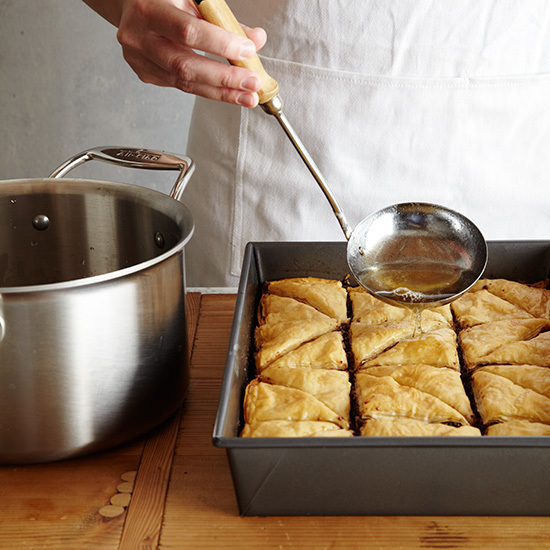 Immediately ladle the hot syrup over the hot baklava and let stand until completely cool.